Had been hearing about Cafeela on a lot of Facebook groups, and finally got the opportunity to try the food yesterday via home delivery. We were three people at home, and we decided to order a mix of things to be able to sample the menu. Ordered the sesame chicken as starters, chicken club sandwich, chicken fettucine alfredo & the chicken shawarma with pickled vegetables. Even though it was a strike yesterday, the order came exactly within 45 minutes as stated. The first thing that I noticed was the packaging followed by the presentation and size of the dishes ordered. Even though Cafeela is a mid-ranged delivery outlet, every item had been presented well with sides & garnishes and packaged in such a way that the presentation was not spoiled during delivery. 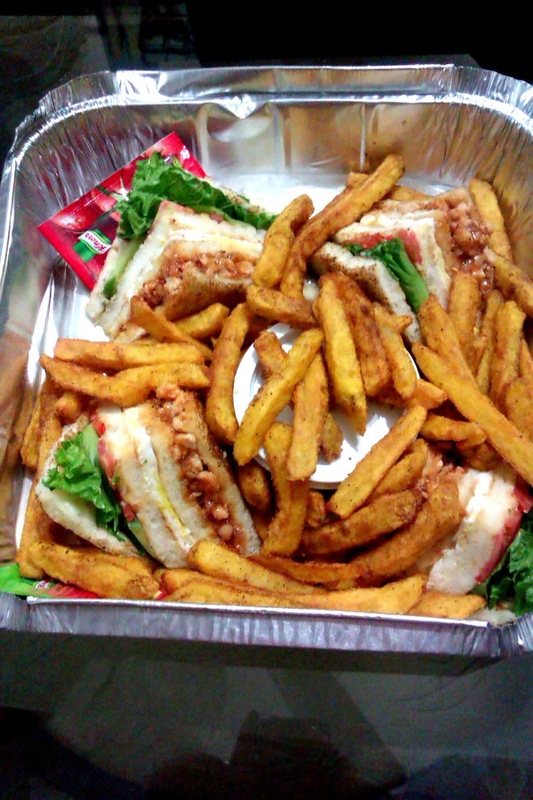 The sauce and the coleslaw that accompanied the shawarma & the club sandwich respectively were packaged in little plastic boxes of quite good quality so there was no spillage; the sesame chicken & the alfredo were covered first in cling wrap and then cardboard. This is probably something very basic, but it does speak of an attention to deal from the owners perspective in not only just the food, but also in the training of the delivery boy. Moving onto the food now. 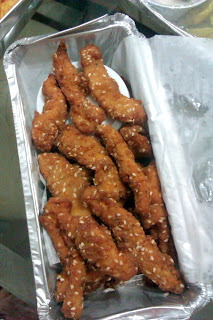 First of all, the deep fried sesame chicken which was served with what I think was a tartar based sauce with vegetables. I initially thought it was coleslaw, but on noticing the coleslaw with the club sandwich, I changed my mind. I was expecting some chilli garlic/ketchup sauce with this, but surprisingly the sauce complimented the chicken strips really well. 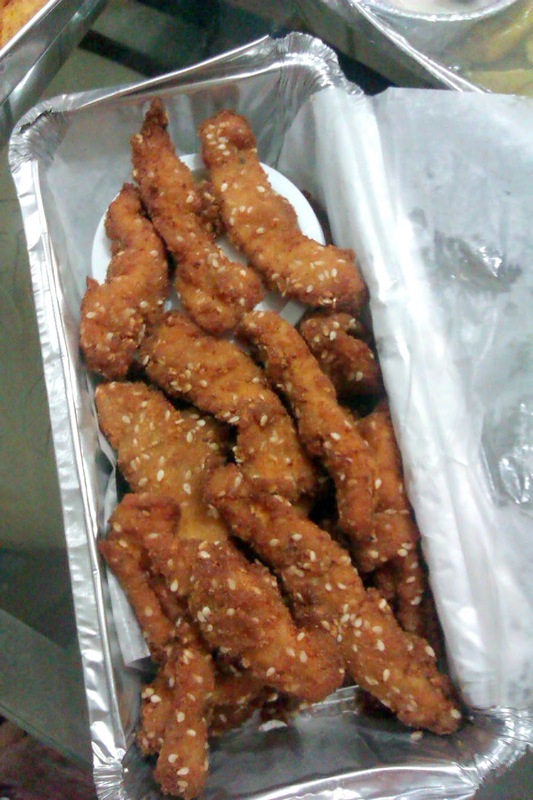 The chicken itself was great, it was moist & crispy, with the sesame seeds giving it a nice crunchy texture. Overall, this dish was our favourite from the entire order. 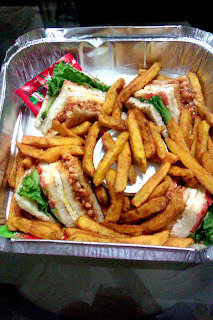 The chicken club sandwich a pretty classic sandwich, quite filling and delicious and great value for money - definitely something I can see myself ordering again. It was filled with chicken, omellete/egg and vegetables in three layers and served with coleslaw and a generous helping of spicy fries -pre cut into 4 pieces making it really easy to eat. The chicken shawarma was the one item that none of us were happy about. 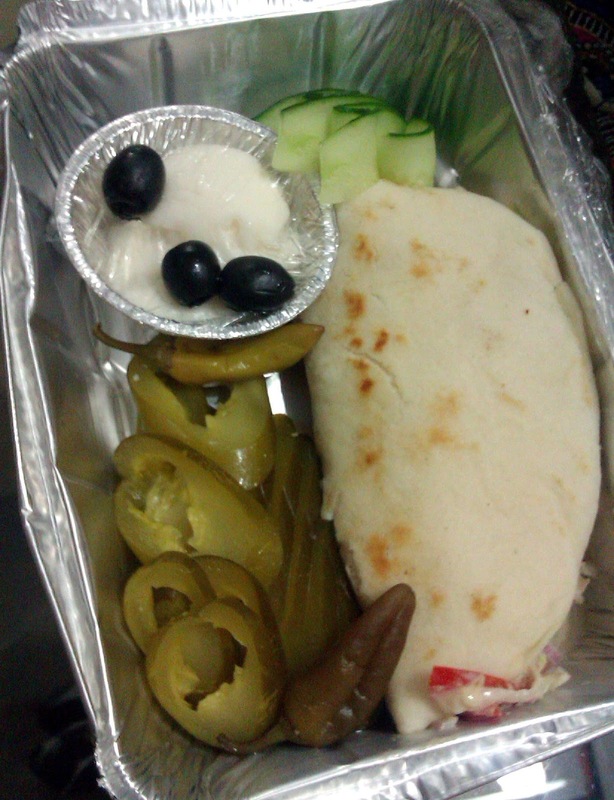 Presentation wise it was great; it came with pickled vegetables & the typical shawarma white sauce with olives as garnish. But we all felt there was something off in the taste of the shawarma. I personally thought the major issue was with the onions as they were a little bit soggy (making the shawarma soggy too) with strong after-taste and the shawarma itself was missing either some salt or lemon juice. But the pickled vegetables & the white sauce were good. Probably not something I would order again, but probably not something I would order again. It was a little too bland and would be preferred by people who like the authentic version and not the desified version that has become so popular here. The last thing we ordered was the chicken fettuccine alfredo with mushrooms and vegetables - definitely not the typical fettuccine alfredo but an interesting Desi version of an Italian classic. 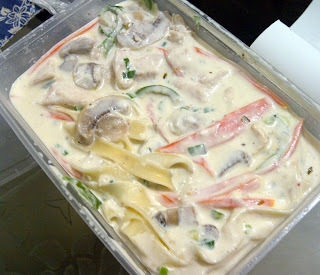 The fettuccine was cooked perfectly, the sauce was creamy and delicious, but it was a little bland for our taste. But in this case, its a matter of personal preference since we do like spicy food. Overall, I would give Cafeela an 8 out of 10 - great food at affordable prices; We did feel the food was a little bit bland, but again, that's more to do with what we ordered and personal taste. Next time when I order, will make sure to order appropriate dishes. 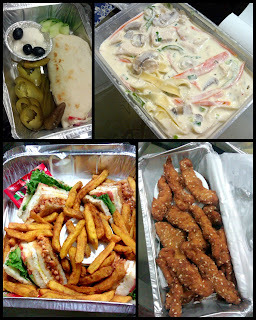 Dishes Ordered: Sesame Chicken (PKR 385), Chicken Club Sandwich with Fries (PKR 275), Fettucccine Alfredo with Chicken & Mushrooms (PKR 435) and Fried Sesame Chicken (PKR 385) for a total bill of PKR 1,445; Definitely good value for money since there was more than enough for 3 people with leftovers for the next day.